The story of McGulpin Point Lighthouse and Historic Site spans thousands of years, from our earliest inhabitants who made it their home to the Europeans who arrived and settled the grounds. Later, when shipping began in full force through the Straits of Mackinac, its story became that of a lighthouse, helping captains navigate the tumultuous waters between Michigan’s Lower and Upper Peninsulas. A new trail at the lighthouse interprets those various stages of the property, with cultural “docents” along the way telling the story of these important historical grounds. The trail was recently installed and includes five stations from the top of the bluff near the lighthouse itself and down to the waterfront at the Straits. 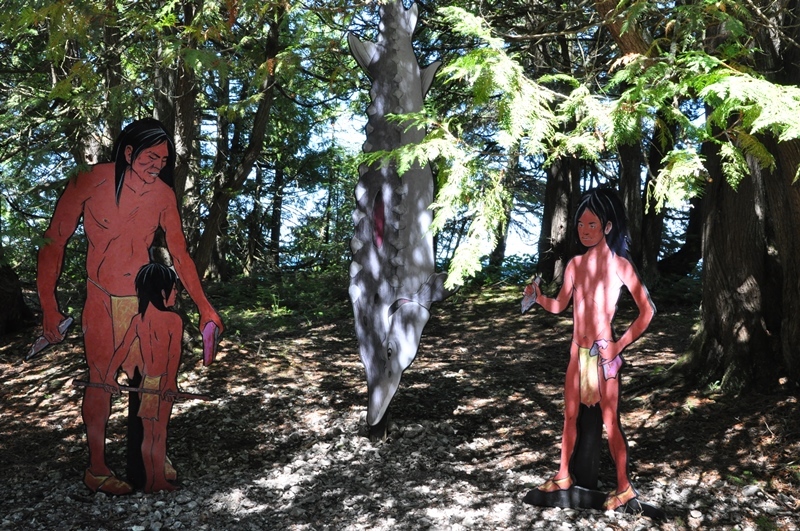 Costumed re-enactors illustrate the eras of the McGulpins, McAlpins, Native warriors Nissowaquet and Charles de Langlade, and artist Jane Cardinal of Good Hart painted a Native man and his two sons carving a huge sturgeon — 9 feet in length! — from 9,000 years ago that depicts life at the water’s edge. 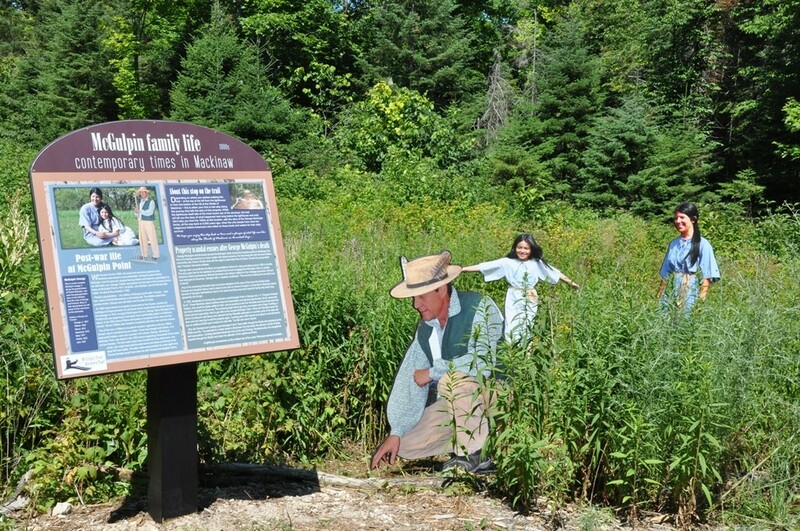 The George McGulpin family is the first you will encounter along the trail. 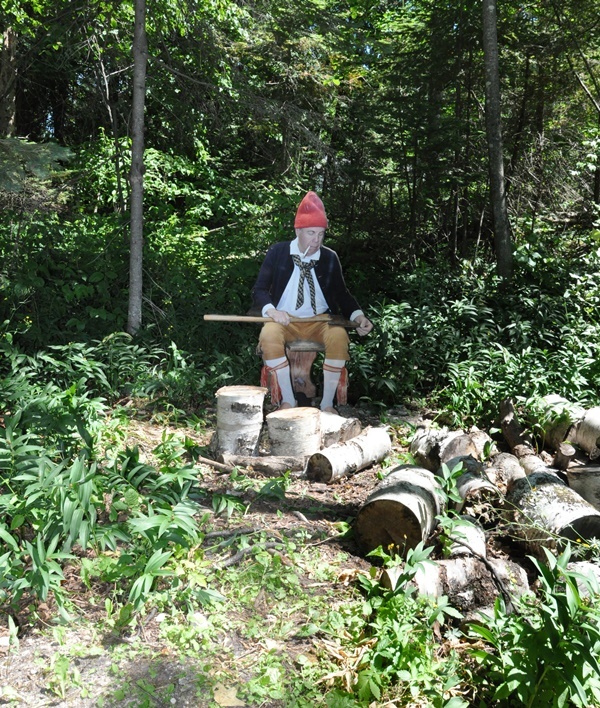 John McAlpin (Anglicizing changed the name to McGulpin years later) was the first European settler on the grounds. 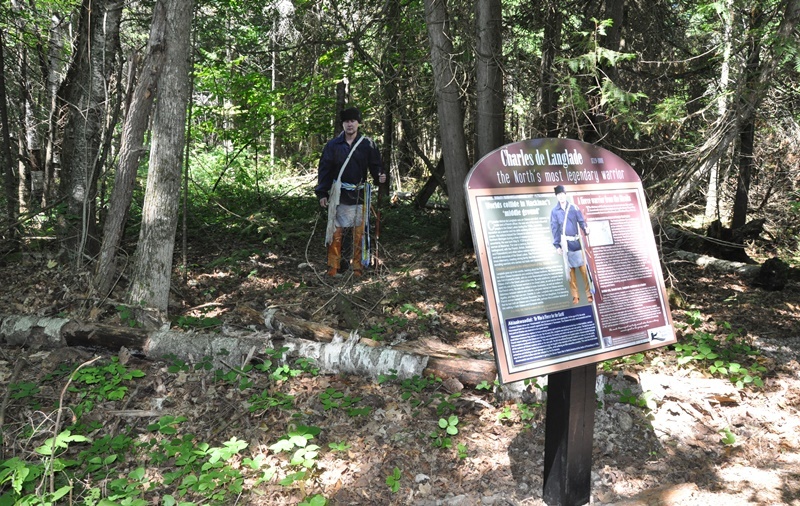 Odawa warrior Charles de Langlade likely tread these grounds with his uncle, Nissowaquet, who is featured at the next stop. Both were influential in national wars and tribal affairs. Odawa Nissowaquet was among the most influential and powerful Native Americans in the region and state. 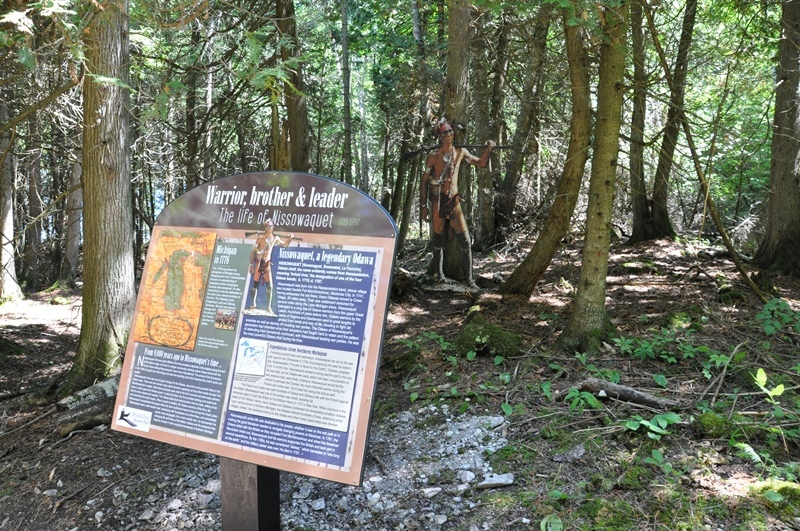 At the edge of the water you will meet a traditional Native family from 9,000 years ago. Because there is no photography available to capture what these early inhabitants would have looked like, Good Hart artist Jane Cardinal sketched the man and his two sons, gutting a huge sturgeon that hangs from a tree branch at 9 feet in length. This would’ve been a typical scene on this shore thousands of years ago.